Christmas is just a few weeks from now and the markets are offering rebated food packages for the low-end priced users to buy a pack of good food for them and families for as low as £2.88 a head. This is the spirit of celebrations so that even the poor can enjoy the Christmas witha good food and a whoile turkey on the table for just £23.07 for a family of EIGHT. 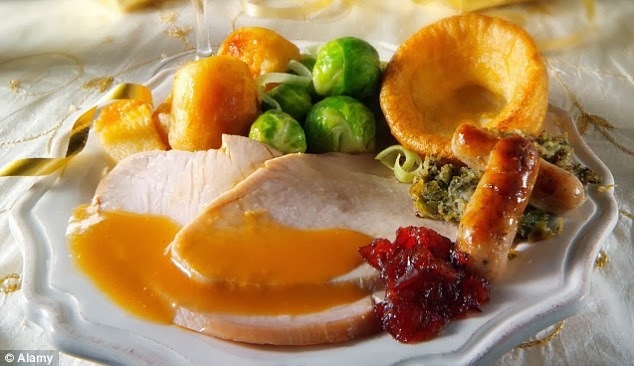 The rebated package includes turkey, cranberry sauce, stuffing and vegetables and pudding included. The packages have been unveiled by the Supermarket chain Morrisons and is possibly the cheapest place on the high street to buy your Christmas dinner.